LionsDeal > Tabletop & Bar > Pitchers, Decanters, and Beverage Servers >< Pitchers > Old Dutch International 1203 Hammered Solid Copper Water Pitcher with Brass Handle, 2 Qt. 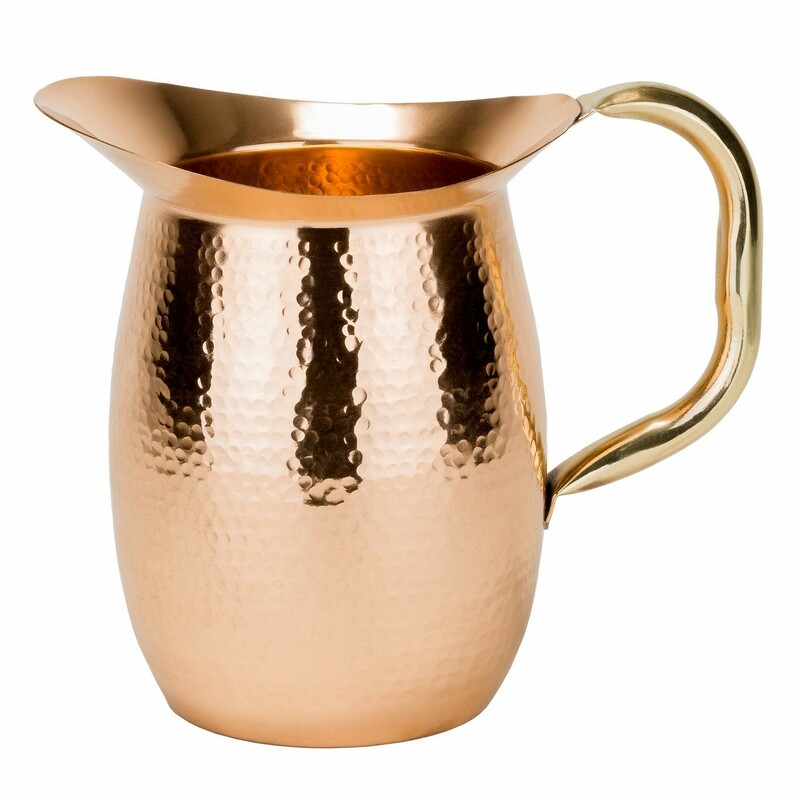 Old Dutch International 1203 Hammered Solid Copper Water Pitcher with Brass Handle, 2 Qt. 8 3/4" x 5 1/4" x 8"